WebPressClub: "I Was Never a Romantic Person"
Almost half a century ago, this Nandini walked into the life of every urban Bengali youth, happily ignoring all the wooing of the neighbourhood Romeos. Over the next several decades, she stole the hearts of the audience with a rare combination of beauty and intellect. Mostly known for playing the reserved educated girl in Bengali films, this Marathi actor straddled both Bollywood and Tollywood with equal elan. In town to attend a private event, WPC caught up with Tanuja to speak on Uttam Kumar, Tapan Sinha, and others. Tanuja: He will always be the guru of Bengali cinema. When I came to Kolkata at the age of 19, Uttam was already a legend. I was a bit sceptic and was nervous when I first met him. I was wondering how to start a conversation with him, how to stand before him, and similar things. But it was he who came up to me and said not to be afraid. He was the kindest giant I ever met. I call him a giant because he was very tall and my height was quite below his shoulders. He once told me, you are coming up to my heart, and I will definitely look after you. And that’s exactly what he did. He taught me many things, like proper Bengali pronunciation, diction, tonal quality, and more. He was a wonderful person. When I came to Kolkata first, everything seemed known to me. I wonder, how was that possible? Maybe at some birth I was born in Kolkata (laughs). Tanuja: Well (laughs), I was never a romantic person at all. Acting was my profession and I had to follow the director’s instruction. But, yes, how I did all those romantic scenes? Just before the shoot, Uttamda would walk up to me and say, “Don’t worry, it’s all fake. We will only be romantic on screen.” He made the situation easy and I had no problem at all. Often, in the middle of the shoot when we were supposed to be very romantic, I would burst out into laughter, and say that this all was very ridiculous. I can’t do like this. He used to tell me, “Try it Tanu, things will be fine.” So I tried, and Deya Neya became a blockbuster. That was followed by Antony Firingee and Rajkumari. Tanuja: Soumitra is such an amazing person. He’s an intellectual with whom you can strike a conversation at the cerebral level. He told me to live without fear wherever I go. “What can I teach you? Even I am learning everyday. There is no end to knowledge. You have to keep on learning. The wisdom is you don’t know anything,” he used to say. Even today, he can give many twists (laughs loud). He still has so much energy, so much curiosity about life. 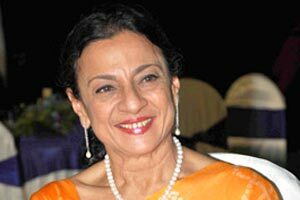 Tanuja: I worked with him in only one film (Madhuban, 1988). It was released after his death. He was very intense and funny at the same time. He was more like my teacher. He used to ask me about what I would like to learn, to which I answered, everything. He would then ask, “How can I teach you everything?” He was such a wonderful human being with a great sense of humour. 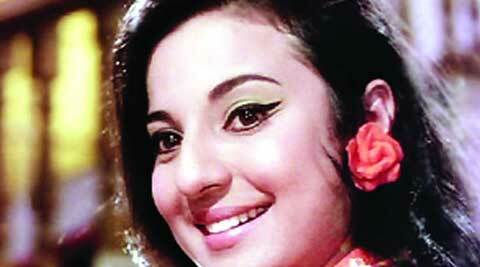 Tanuja: It was because of Salil Chowdhury’s brother Babu. He came up to me and asked, “Are you interested to act in a Bengali film?” I loved the language and said, why not? I knew nothing of Bengali then, except dhonnobad (laughs). I was ready to try something new, and happy that I did it. Bengal has given me so much of love and respect. They accepted me and told me that I am talented. Bengali directors and actors showed that I am capable of doing things they wanted me to do. I was once given a citation and I didn’t know what it was all about. It was somewhere in Sealdah. I had never been to that area before. It was so terribly crowded. I and Uttamda had to walk through that crowd. Uttamda asked me to be firm. He introduced me to everyone at the venue. Madhabi Mukherjee had come to give me the citation. She was already famous then, and had worked with all the leading directors, including Satyajit Ray. And talking of Ray, he was the most handsome man I ever saw. Tanuja: Tapanda was a very interesting man. He had the ability to inspire an actor to extract the emotion he wanted. He just needed to narrate the scene and his actors would understand their job. While shooting for Adalat O Ekti Meye, Tapanda was narrating a scene to me. The scene was about my inner turmoil after the gangrape. I burst into tears, and couldn’t hold back emotions. Tapanda then told me, “Tanu, don’t cry now. Cry when the camera is on and when I say action.” On hearing this I started to laugh He was a wonderful director. I never used glycerin in that film. I think I never went deeper into any character other than the one I played in Adalat O Ekti Meye. It was an epochal film in my career. Even though it was my only film with Tapanda, he took me as his daughter. I never felt as an outsider. I was a part of his family. Tanuja: I have worked with directors like Partha Pratim Chowdhury, Arabinda Mukherjee and others. I did films like Pita Putra and Dolna. Arabindababu was a great director. He is 96 and can still remember everything. Tanuja: Sure. If I get a good role.